The old man built his first special bike when he was 17 years old and working for a power generation company. They had all the tools and equipment to assist in the project building. This was a hand built frame fitted with an engine (350cc two stroke twin) taken out of a three wheel car. Over the years many rigid frames were converted to swinging arm suspension. Various grass track, trials and scrambler bikes were built but could never compete with the Works machines of the day. During the 60's and 70's Triumph specials were the order, cafe racers, choppers and compertion machines. years 93 - 96 to show the engineering skills and build quallity which still could be achived. In the 90's we even took on board to build the the promotional Diesel bike for the Hatz Diesel company. Which is still in use at exibitions and demonstrations. We improved on the Hatz proformance and built 10 other different diesel powered bikes. Always with the Royal Enfield Bullet as the doner bike but fitted with a brand new diesel engines for the power plant. The favorate to date was the Yanmar 450cc powered bike, 160 MPG and 70 MPH. 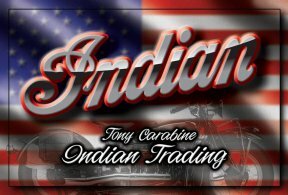 In the early 90's many bikes were sold to fund the first Indian project. This was a 1929 600cc 101 scout bought as a box of bits. 100's of parts but there was a complete 101 manual (the bible) with it. The manual detailed every last nut & bolt size, dimension & plating. It even gave all the different mods to cover the 4 years of production. It still took about 8 years to complete the build, sort out & understand. A Good website for Indian parts and technical information.